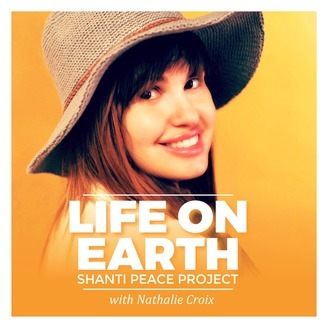 Life On Earth Podcast, The Peace Project with Nathalie Croix: aims for global and intergalactic equality through celebrating diversity one Earthling at a time. 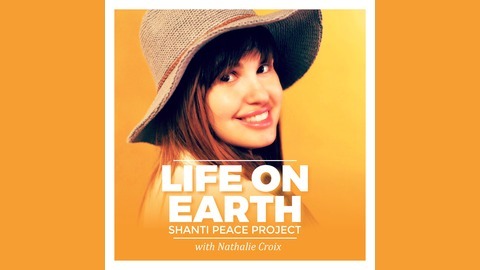 Join Nathalie Croix as she teaches how to connect with the divine and transform darkness to light through topics such as yoga, meditation, optimal living, creativity, sun and moon rituals, philosophy, diverse cultural dynamics, nature, sacred movements, the healing arts and—ultimately—love. We are one; spread the love; join the movement! We Welcome Laura Richer and her her insightful knowledge. She is a certified hypnotherapist and regression therapist who does women’s retreats, workshops, and life coaching. She practices in Seattle as well as online. Laura says that people often have a misconception about what hypnosis is and how it is used in therapy. She explains that hypnosis can also be referred to as the state of being in a trance and talks about how we actually go in and out of trances on our own all the time. Similar to yoga, there are many different types of hypnotherapy. Laura points out the differences between the two main types: suggestion and client-centered. Because Laura chooses to only practice client-centered hypnotherapy, she discusses its advantages. Laura has an amazing online program that teaches women of all ages to navigate the challenges of modern dating. We talk about online dating, creating healthy boundaries, true love, self love and much more. If you are interested in joining Nathalie’s private coaching program, Light Code, email shantiyoganola@gmail.com for inquiries. Thank you for your support in growing our community and spreading love on our beloved Planet Earth.